Burns can cause significant damage to the skin, which is often irreversible. If not treated properly, it can cause discoloration of the skin and may even result in scarring. Hence, it is every important to seek immediate treatment in case of burns. While most minor burns can be easily managed at home, it is essential to take prompt medical treatment in the case of severe burns. The minor burns usually cause damage only to the top layer of the skin. It results in redness and burning pain in the area. Minor burns may also result in the development of painful blisters. These burns are often referred to as superficial burns or the first-degree burns. They are usually caused due to the contact with steam, hot objects or fluids, or excessive exposure to the sun. The use of natural remedies given below can be highly effective in managing such minor burns. These remedies are aimed at promoting healing of the damaged skin tissues and minimizing pain. Raw potato can be used to treat minor skin burns. It possesses soothing properties, which help in providing relief from the burning sensation caused by burns. It also acts as an anti-inflammatory agent and reduces redness and inflammation of the skin. It can also reduce the chances of having blisters. 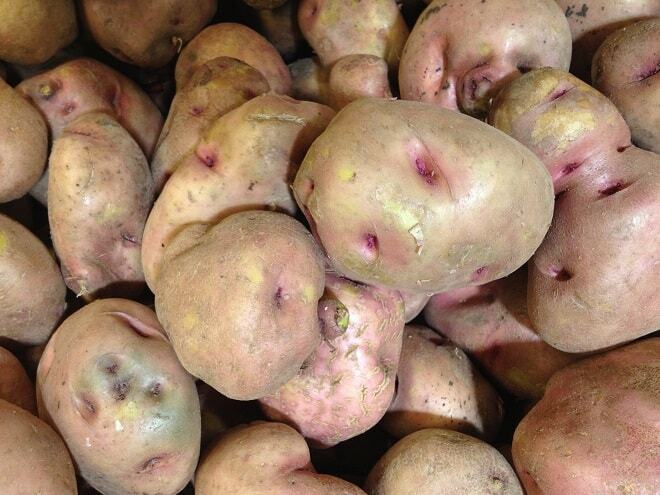 Research has proved the beneficial effect of raw potato in the management of minor burns. The histological examination of the burnt area and clinical studies made on the comparable burn wounds treated with either peel of boiled potato affixed to gauze bandages or just gauze dressings showed that the patients treated with raw potato had a faster rate of recovery from the symptoms. Cut a thin slice of raw potato. Rub it on the affected part. It is important to press the potato slice gently enough to allow for the extraction of the juice. Make sure the juice is released all over the area. Note: Alternatively, patients can also use grated pieces of raw potato on the affected area and leave it for about 15 minutes. The beneficial effect of this remedy is higher when it is used soon after the burn has occurred. Aloe Vera is highly soothing for the skin. It acts as a natural astringent and protects the skin from further damage. The tissue-healing properties of this herb help in the faster repair of the skin tissues damaged due to burns. It also acts as an antibacterial and antifungal agent and helps in preventing superadded infection at the burnt site. This is an important aspect of Aloe Vera as the exposure of the inner layers of the skin due to the damaged outer layer following burns can provide an easy access to bacteria and other organisms into the skin and increase the risk of infections. Aloe Vera, with its antimicrobial activity, can prevent these complications. It can also be used to treat burns caused by radiation therapy in cancer patients. The application of fresh extract from the leaf of Aloe Vera can provide quick relief from the itching and burning caused due to radiation-induced burns and also stimulates the skin regeneration. Cut a leaf of the Aloe Vera and apply the freshly extracted gel directly on the affected area. Note: Patients can also mix one teaspoon of turmeric to the Aloe Vera juice for better effectiveness. Also, the local application of Aloe Vera juice over the burnt area may cause increased redness, burning pain, and stinging sensation in sensitive individuals. Allergic reactions may occur due to the presence of ANTHRAQUINONES like ALOIN and BARBALOIN present in this herb. Hence, it is best to apply the juice to a small area first and wait for about 5 minutes to check for any allergic reaction. If there is not redness or itching of the part, it can be safely applied to the area affected by burns. Application of coconut oil can help treat minor burns. 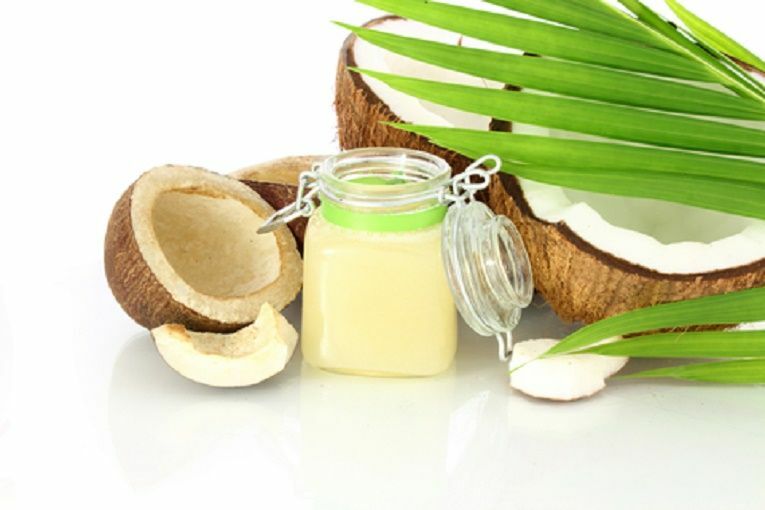 It is rich in fatty acids and vitamin E. The fatty acids present in coconut oil like LAURIC ACID, CAPRYLIC ACID, and MYRISTIC ACID offer powerful antifungal, antibacterial and antioxidant benefits to the skin. LAURIC ACID present in this oil is particularly beneficial for destroying bacteria and reducing the risk of infection. It also acts as a moisturizer and prevents excessive dryness of the skin, which can otherwise lead to itching. The burnt skin is highly delicate and slightest scratching of this area can aggravate the symptoms and disturb the normal healing processes of the body. Applying coconut oil can keep the part well-hydrated and prevent the itching and the urge to scratch. Take coconut oil in a bowl and allow it to cool by keeping it in a refrigerator. Take it out and apply it on the affected skin. It is important that the oil is cool as it helps to enhance the soothing and calming effect produced by it. Honey can be used to disinfect the burn lesions. The can help to heal the burns with its strong healing and antibacterial properties. It is effective against a range of bacteria including Staphylococcus aureus, which is known to cause skin infections. It also produces an anti-inflammatory action, which helps in reducing damage to the skin and relieves the symptoms like redness, and pain. It also reduces the risk of blister formation. Regular application of honey on the affected area can reduce the chances of developing a hypertrophic scar. It is particularly beneficial in the cases of mixed and partial-thickness burns. It can be used to accelerate the wound healing and prevent ulceration at the site. The soothing action of honey reduces burning sensation and pain caused by burns and scalds. The outcomes of the treatment with honey can be compared to the use of silver sulfadiazine. 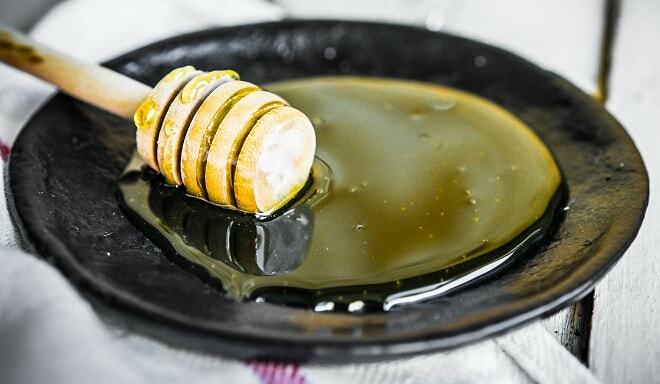 Patients who have to undergo skin grafting after burns can also use honey orally for ensuring the graft is well-accepted by the body. Spread honey on a piece of cotton or a gauze bandage. Place it directly on the affected part of the skin. Change the dressing three to four times every day till the skin has healed completely. 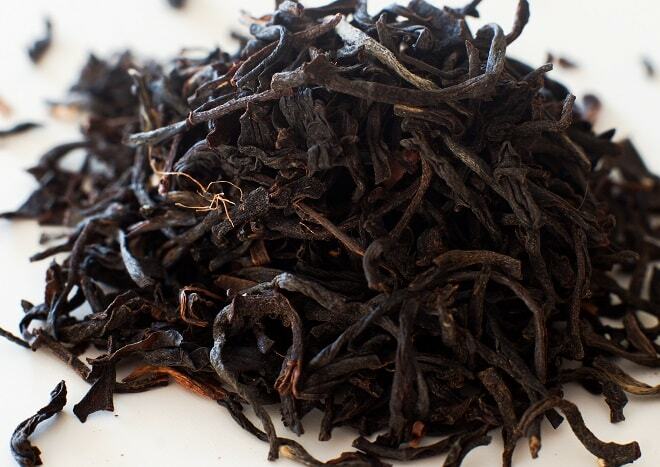 Black tea contains tannic acid, which is beneficial in the treatment of burns. It reduces the systemic reaction in cases of extensive burns by preventing the absorption of toxic substances from the affected part of the skin. Recent research has proved that tannin has the ability to form complexes with multiple bio-molecules and hence, might be effective in precipitating poisonous substances in the burned tissue. Tannins also have the ability to improve the wound healing and reduce the scar formation. It works by blocking the formation of reactive oxygen substances. It also helps in the rapid elimination of reactive oxygen substances thus protecting the skin from further damage. Steep two to three tea bags in a container filled with warm water for 10 to 15 minutes. Remove the tea bags and allow the solution to cool down. Soak a clean cloth in the liquid and keep it on the affected part. Use this remedy as many times as possible. Application of vinegar on the burnt skin area can help in providing relief from the pain. It acts as an astringent and produces a cooling action, which helps in reducing pain and burning sensation. The antiseptic properties of vinegar are highly beneficial in preventing infections at the affected site. It is used to treat minor burns. It is believed that an effective way to treat skin burns is to maintain the pH of the skin. Hence, the use of vinegar, which is slightly acidic in nature, is recommended in the management of alkaline burns of the skin with an aim to neutralize the alkaline pH of the skin. Dilute apple cider vinegar or white vinegar in an equal quantity of water. Use this solution for rinsing the affected area. Then, cover the area with a clean cloth well-soaked in the diluted vinegar. You can replace the cloth every two to three hours. Note: it is important to dilute the vinegar as its acidic nature can cause damage to the skin. Diluting the same can bring down its acidic properties and help in maintaining the pH balance of the skin. Lavender oil has antiseptic properties. It helps in eliminating bacteria at the burnt site and prevents infections. The oil also reduces the risk of scarring and hence, is commonly used when the burns have occurred on the visible parts of the skin such as the hands or the face. Add five to six drops of lavender oil in two cups of water. Soak a clean cotton cloth in it and use it as a compress. This remedy can be used several times in a day. Note: it is important to dilute lavender oil before applying it to the skin to minimize the risk of damage. Patients can also mix a few drops of honey in the lavender oil for better effects. Plantain leaves offer a safe and effective treatment for burns. Plantain leaves provide antimicrobial and anti-inflammatory properties, which help in reducing inflammation and damage to the skin due to burns and also prevent infections. Crush the fresh plantain leaves to make a smooth paste. Reapply the paste once the previous dressing dries out. 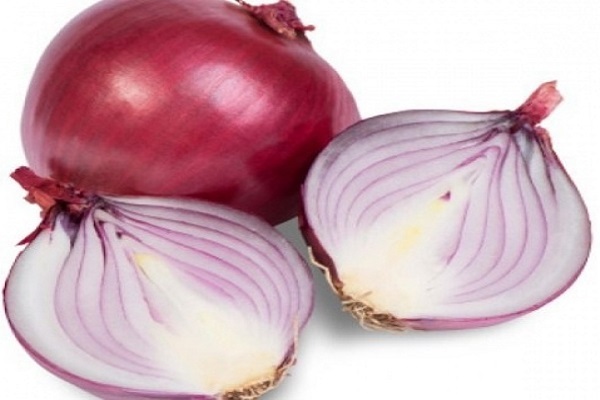 Onion contains components such as QUERCETIN and sulfur compounds, which help in relieving pain caused by burns. It also helps to heal the burn and reduces the chances of blistering. It can reduce the risk of infections and hasten wound healing. Cut a fresh onion and press it gently to extract the juice. Apply this juice on the burnt area. Repeat the process as many times as possible every day till the lesion heals completely. Tip: use freshly cut onions only as onions lose their medicinal properties after a few minutes. Put some cereal in a tub and add to it one cup of crumbled oatmeal. Soak in it for at least 20 minutes and then, pat dry. 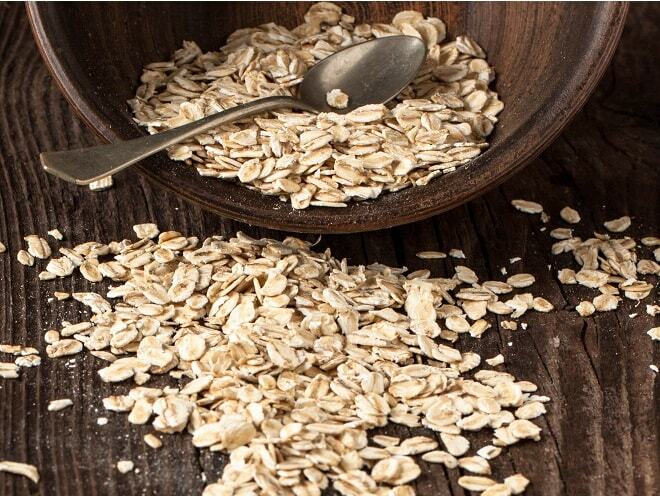 You can let a thin coat of oatmeal stay in the skin. Tip: Take care when getting out of the tub as the oatmeal can make the bathroom floor slippery. Dr. Anu Saini (B.A.M.S., N.D.D.Y.) is a Licensed Ayurvedic Practitioner under Central Council of Indian Medicine (CCIM) Act India and Board of Ayurvedic and Unani Medicine, Chandigarh since 2008. She is also a Naturopath. She is working for ‘Ayurveda Clinic’ in Rupnagar, Punjab, India. She has experience in the ayurvedic treatment of women health problems, children problems and chronic diseases. She integrates naturopathy with yoga to help her patients to achieve optimal health. She works as ‘Senior Editor’ for Ayur Times.